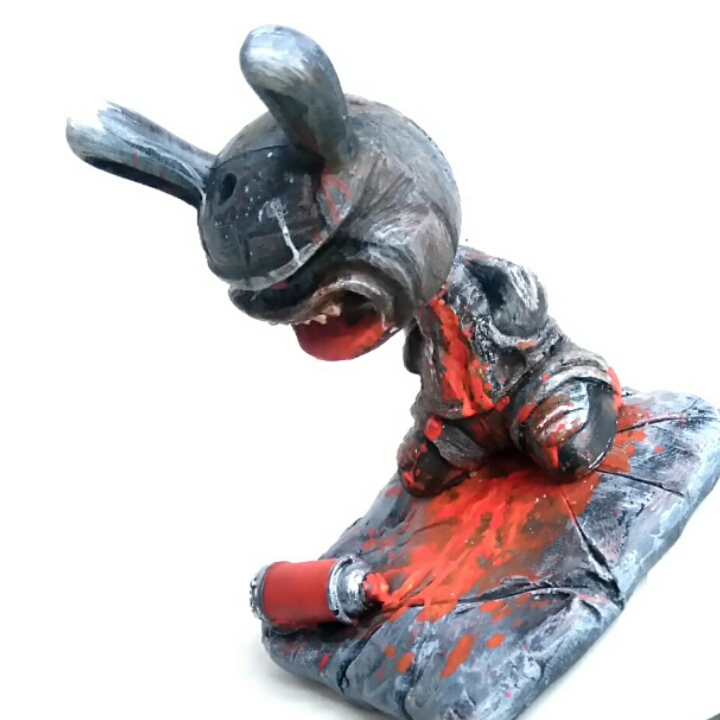 Another one of a kind painted resin found it's way to the store yesterday. 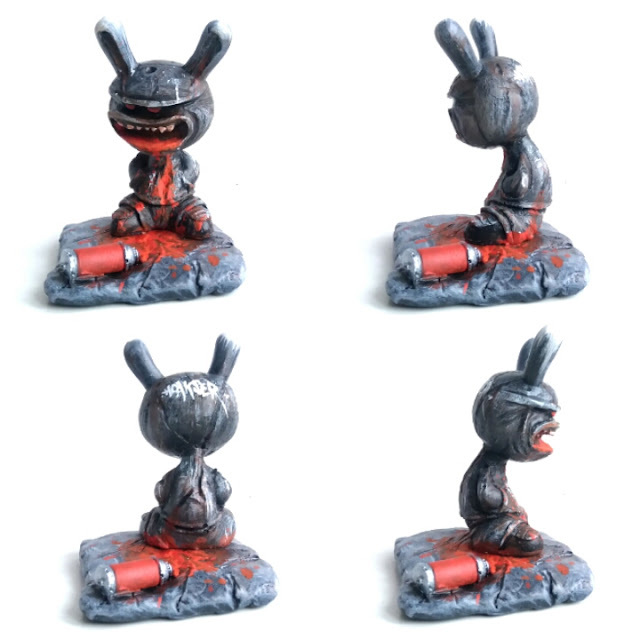 This guy, the PaintMuncher, is a mashup of a Dunny and a Vandalface and stands around 4 inches tall on his base, which he isn't attached to.. Available for just £40 plus shipping, you can check out this piece in more detail over at my Bigcartel store..